I came across this fascinating (1min 40sec) YouTube clip of one weeks global shipping traffic as seen from space courtesy of Fleetmon. My team and I at Depth Logistics always give our clients comprehensive and fully transparent quotes that they can reliably budget on. This is a non-negotiable thing for us. That being said, increasingly we are competing against operators who are at best convenient in how they present their quotations, or at worst, plainly try to mislead shippers about the true landed costs just to secure the booking. 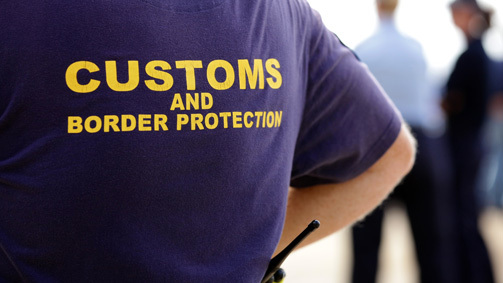 One trick we see nearly every day relates to Australian Customs and Quarantine import charges charges which are published on government websites. Specifically EEC(Electronic Entry Charges) and DAWR(Dept of Agriculture and Water Resources) entry and inspection fees. Unscrupulous freight forwarders will not quote these actual charges in dollar terms to a client as if they did it increases their quotation per shipment by sometimes A$2-300.00+ depending on the cargo type and import declarations required. Instead they say things like "Plus government charges" or "Plus EEC and DAWR fees" if the client is lucky. Price is an important driver of most clients decisions as to who they trust to move their cargo. When they are making their decision they innocently compare quotes where a professional forwarder actual identifies the exact costs, because you can, against another operator who intentionally is vague(Plus Govt charges). They total the various dollar amounts listed in the quotes and compare who is the most competitive. It is not until they get billed and find that these charges were not identified specifically in the original quotation that they realise they have actually paid too much overall. To make matters worse operators who do this usually add EEC onto the import duty and GST on their invoice to disguise the charges further which they know will often go unnoticed by the client. If they get found out and queried later they hide behind "But our quote said Plus Govt charges" and the poor client is snookered. So be aware of this freight forwarders quotation trick and insist that whoever you get quotations from always identifies all charges in dollar terms so you can compare apples with apples. If you need any further clarification or want to check what you might have been billed previously, I'd be pleased to help.